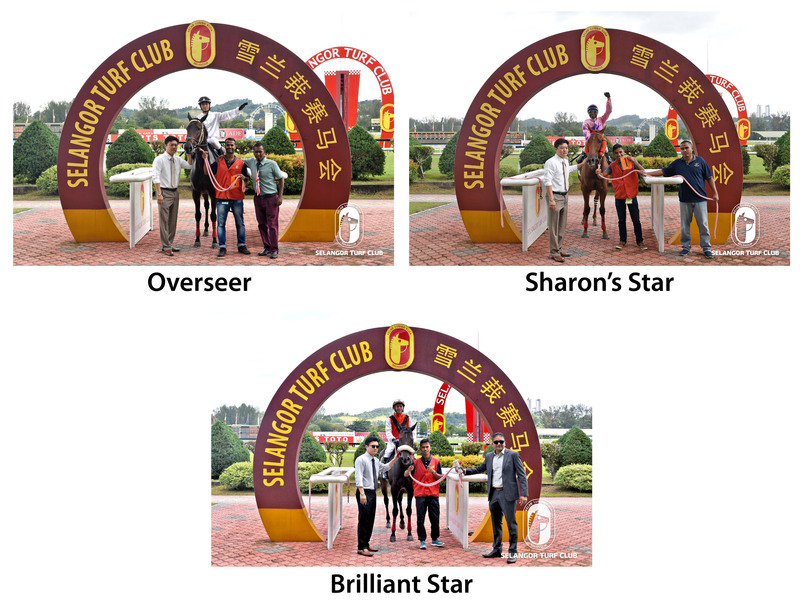 Trainers, Lawson Moy, Richard Lines and Simon Dunderdable shared the honours with three winners respectively in the 20 race-card on Saturday and Sunday at the Selangor Turf Club. Lawson Moy saddled Overseer ridden by AK Lim to win Race 5, Sharon’s Star ridden by App. J Daniel to win Race 8 on Saturday and won the opening race on Sunday with Brilliant Star brilliantly handled by O Chavez to win on the bob of the head in Race 1. Trainer Simon Dunderdale had his three winners with compliments from the De Souza brothers on Sunday with JJ Star ridden by the younger De Souza winning Race 2 followed by the elder DeSouza winning on First Dance in Race 6 and Xzuberance in Race 10. 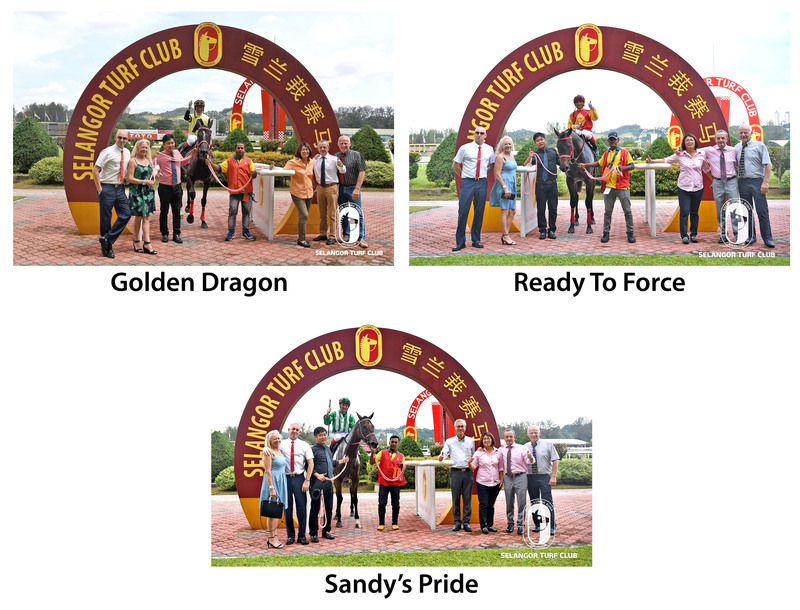 Richard Lines’s treble started with Golden Dragon striking gold in Race 1 on Saturday followed by Ready To Force winning on his debut in Race 9 on Sunday, both horses were ridden by J De Souza and Sandy’s Pride bringing up the treble providing App. CK Khaw an armchair ride to win Race 11 on Sunday. Trainer Tan Soo Beng, Shane Edwards and SY Lim saddled a double each. Edwards got his winner in Race 7 with Drought on Saturday and Satellite Prince in Race 3 on Sunday, both horses were ridden by in form Jockey Z Khairil. SY Lim’s double came with Machung Star with J Low doing the riding to win in Race 9 on Saturday and with Aud Dollar ridden a determine finish by Jockey Ganeesh to win in Race 5 on Sunday. 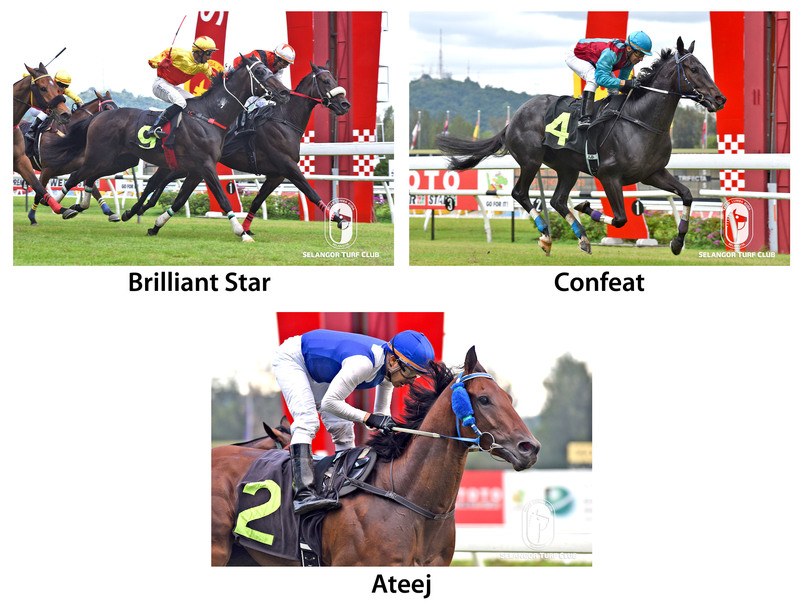 Tan Soo Beng’s double were on Sunday with Confeat in Race 4 and Ateej in Race 8, both horses were ridden by Jockey Chavez. Trainers with a single winner were; Wayne Lim Totality with AK Lim winning Race 2, Charles Leck Ausone winning Race 3, Shane Ellis’s Mr Crowe winning Race 6, both horses were ridden by last year Champion Jockey S Ruzaini, Sivakumar’s I Am The Boss with HK Cheng winning Race 4, all these winners were on Saturday and EV Breukelen Mr Nevermind ridden by App. De Souza winning Race 1 on Sunday. Brazilian Jose De Souza rode four winners over the weekend. 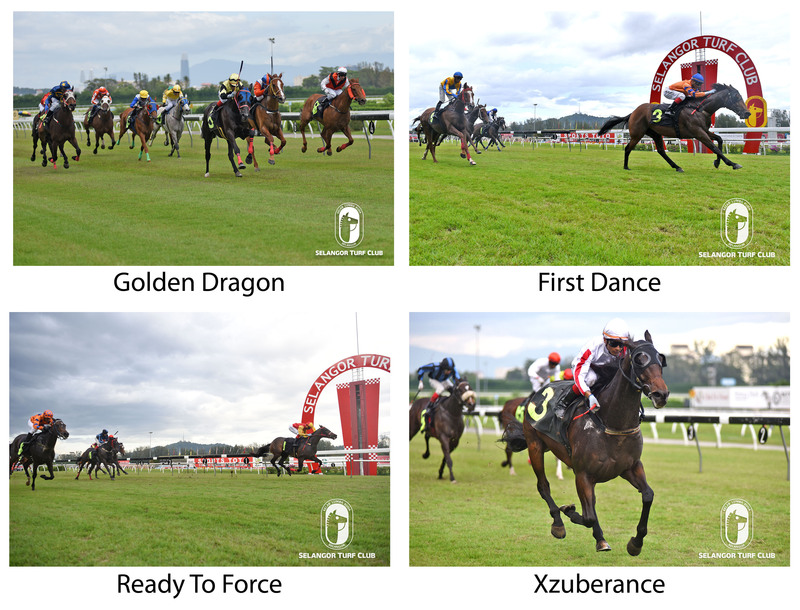 He showed his riding skills with Golden Dragon in Race 1 on Saturday, and brought up his Quartet of winners with a treble on Sunday kicking off on First Dance in Race 6, Ready To Force in Race 9 and Xzuberance in Race 10. Panamanian Oscar Chavez rode a winning treble on Sunday with a chance mount on Brilliant Star in Race 1, Confeat in Race 4 and Ateej in Race 8. Jockeys with a double were S. Ruzaini with Ausone in Race 3 and Mr Crowe in Race 6, both were on Saturday. Z Khairil rode winner on both days with Drought in Race 7 on Saturday and Satellite Prince in Race 3 on Sunday. Apprentice AK Lim’s double both came on Saturday with Totality in Race 2 and chance mount on Overseer in Race 5. While L De Souza’s double were on Sunday with JJ Star in Race 2 and Mr Nevermind in Race 7. 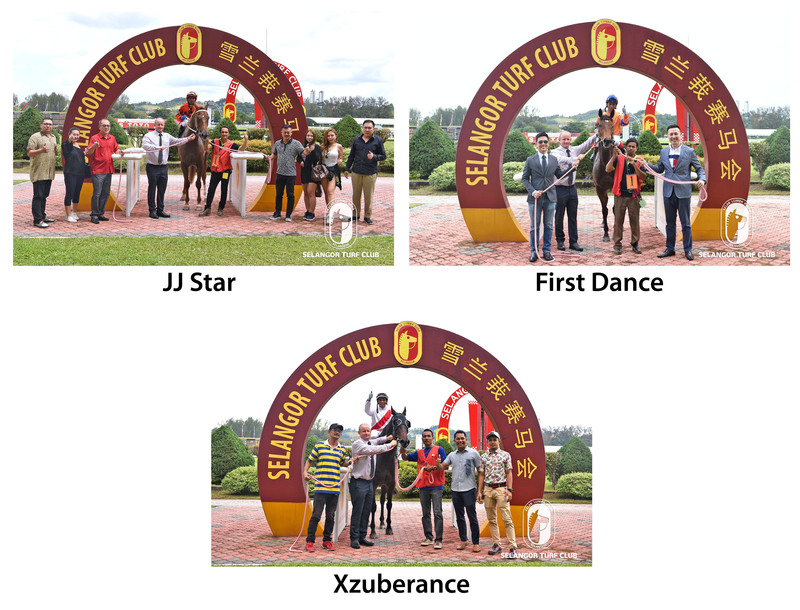 Riders with a single winners were HK Cheng with I Am The Boss in Race 4, J Daniels in Race 8 on Sharon’s Star, Jockey Jackson Low on board Machung Star winning Race 9, all on Saturday. M Ganeesh on Aud Dollar in Race 5 and App.CK Khaw on Sandy’s Pride winning the last Race on Sunday.